Please let me know if you would like a flower crown or not. If so please pick up to 3 colours for the flowers. Elephant Paper Loot Bags are a great addition to any Circus or Zoo themed parties or events. Perfect for a small thank you gift, food, or candy. Small for little hands. 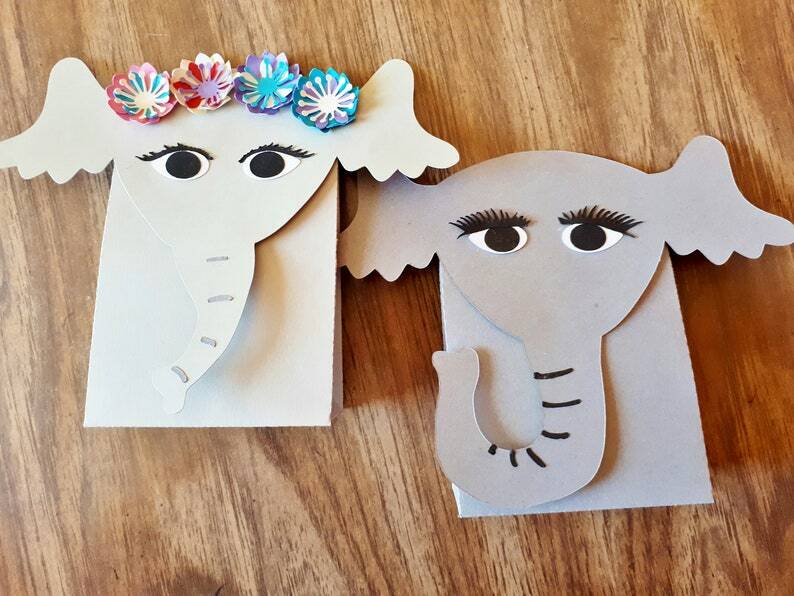 Elephants can be made in light or dark grey with a straight or curved trunk, and with or without a flower crown. Flower Crown can be made in the colours of your choice. 3 colours for the flowers, 1 for the main part of the flower, 1 for the middle, 1 for the very centre.